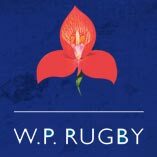 The Western Province Rugby Football Union (WP Rugby) aims to establish a formal relationship with the Sports Science Institute of South Africa through the establishment of a Sports Medicine Centre and specialist Radiology/Orthopaedic Centre at the Sports Science Institute of South Africa. The Sports Medicine Centre is within walking distance to the Newlands Rugby Stadium. The centre serves as the specialist hub for the management of Western Province contracted players, with the ability to facilitate fast, efficient and effective diagnosis of medical and injury diagnosis. The Orthopaedic service allows the opportunity to work side-by-side Orthopaedic specialists in knee, shoulder, elbow, hip, hand and ankle injuries, guaranteeing a second opinion when necessary. The radiology service includes X-rays, soft tissue diagnostic Ultrasound and Magnetic Resonance Imaging Scan. A specialist Musculoskeletal Radiologist will provide the relevant reports. The Centre is prepared to work with the head team physician working for the Western Rugby Football Union. This Centre would be the diagnostic facility augmenting the High Performance Unit, which will be a working satellite medical unit and rehabilitation Centre for players actively involved in training, conditioning and playing. The Centre will be available to visiting teams (International, Super12, Currie Cup and Vodacom Cup) and provide a quality service thus enhancing the status of medical services at Western Province. The Centre is also in close proximity to vital support services to WP Rugby namely the High Performance Centre, where specialized fitness testing takes place. The use of the Centre also ensures a direct link to the University of Cape Town Exercise Science and Sports Medicine Department, whereby we keep abreast of any new sports medicine developments which can be applied to the management of our players and teams. This link will further academic research as all the rugby specific data that has been collected can be published, thus allowing us to learn and modify any of the protocols that we have in place. Acute medical room for orthopaedic splinting, immobilization, tendon-ligament injections with or without ultrasound guidance, intra-muscular injections. Satellite facility to enable computerized concussion testing. Eccentric testing and training rehabilitation facility – Grucox Medical. Radiology (X-rays, soft tissue ultrasound, MRI scan) reported by Musculoskeletal Radiologist.